Its Wednesday, and it Warrior day on the blog. I have been busy this week and had barely something to show for today! I hope at least something is better than nothing right! 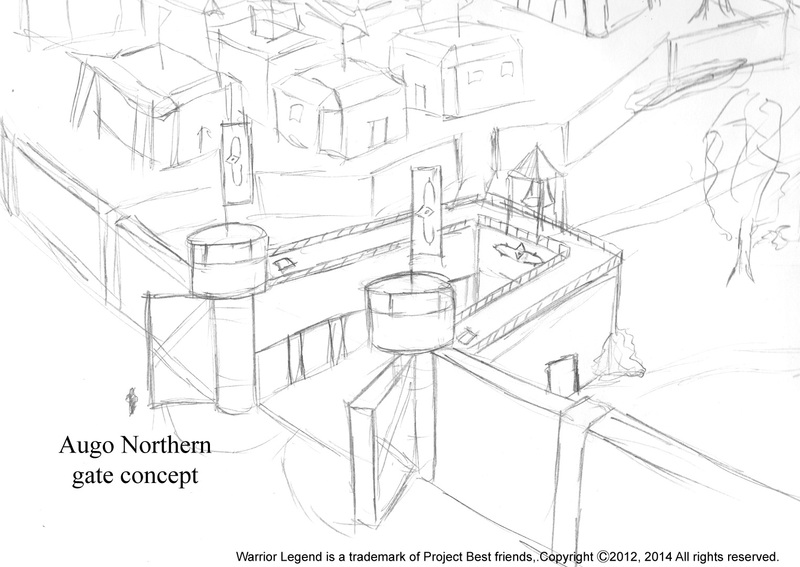 This is a sketch done of the northern gate that Ozias works at when there are intruders coming to Augo. 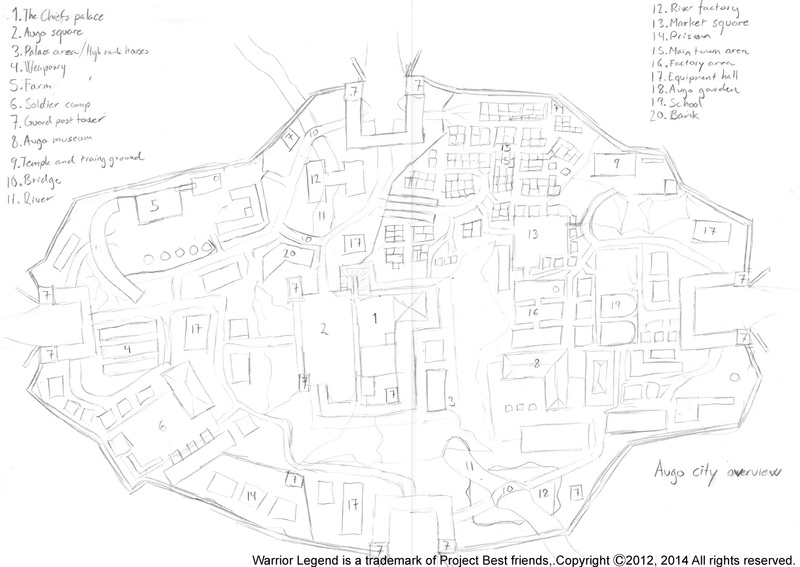 And also a re-scan of the Augo map, some of the text got lost in the picture on a early post from May about Augo, so I removed it and moved it here if someone was missing it, enjoy for the time being.